Increasing pollution of the environment has become an important problem of the present era. Polycyclic aromatic hydrocarbons (PAHs) are widely known as anthropogenic pollutants harmful to plants, animals and humans. Plants are an integral component of the terrestrial ecosystem and have ability to take up, transform and accumulate environmental pollutants including PAHs. It has been shown that PAHs influence the biochemical and physiological processes in plants, just similar to other toxic organic compounds, i.e. herbicides. They not only change the processes of energetic metabolism, but also change mechanisms associated with plant growth and development. In this chapter we shall be discussing the effects of PAH on plant growth, particularly the photosynthetic apparatus. 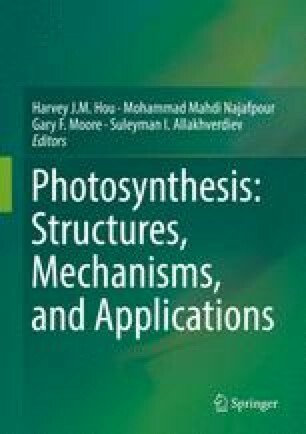 A comprehensive and updated knowledge of the effects of various PAHs including naphthalene, anthracene, pyrene, fluoranthene on the photosynthetic mechanisms has been presented and discussed. AJ would thank Department of Science and Technology (DST) India for the project (INT/RUS/RFBR/P-173). Rupal Singh Tomar is thanked for her help during the preparation of this manuscript.